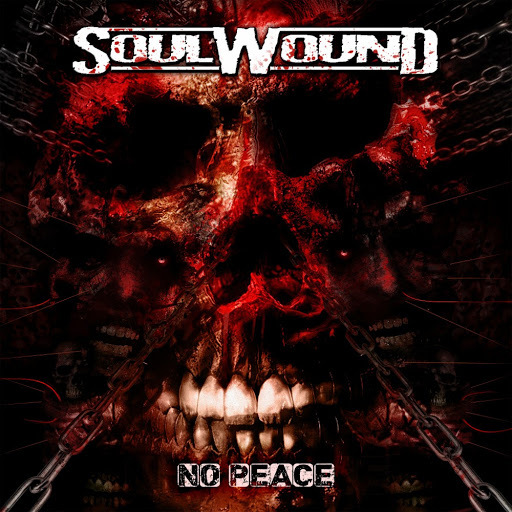 Prog music can enter many different style and genre and with Soulwound we have it inter-blending with Thrash and Death metal into something very catchy yet aggressive as all can be. I Hear elements of Kreator, Voivod and Sepultura all at the same time. They love bands like Sodom and Rage that is very clear. This Finnish unit know how to make a thrash riff sound massive and powerful while keeping the Grooving side of the music that all made a good thrash band great. The Atheist , Gorguts ad Pestilence themes come shining through this album as well. No shame is like like Thrash from the late 80's to mid 90's and this is really what Soulwound is all about. So were do we go with music in 2016 as this reminds me very much of a band by the name of Painkiller. This Metallic jazz core and it's a ride one will never forget. This very well could be on a label like Tzadik or band in those 90's Earache as I want this to be a band that toured with Scorn as well. The horns are those of Bruce lamont ( Yakuza, Corrections House), Drummer supreme Dave Witte and Bassist of Keelhaul. I want to say This a mix of bands like Morphine, Painkiller and Jesus Lizard. I really don't know much more to say as its just express of Pain, Hope and Unconventional Jazz music. If you like Mike Patton solo material this would be a step in the right direction as well. I been listening to this a lot and so should you..
From the very beginning of this album we have a Post Rock. Bluesy Post Metal album with some very warm fuzzed at moments. Yes it has those Desert Rock elements we have all come to know and hear. I do like the bluesy Doom sound that is aka that of what I would say reminds me of Kyuss or even Monster Magnet those are the two bands I really hear as well a bit of a band called Solace . I have not heard a vocals yet but this music is far impressive enough to not even need vocals . I would say there are Russian Circles and Earth moments happening here . I Bluesy Post Metal is what I'm going to call Istvan unless someone else can call is it more. It's not full on Doom and I know you out there are going to call this Doom it's so much more with the lazy blues riffs and ethereal elements happening. One the vocals start they are that very Opeth meets 70's prog rock vibe . You all know where I'm coming from. It's just good check them out. Prog Metal to the Nth Degree is what you get here. This is Tech, Power, Thrash Metal that is as complex as wonderful. I always thought Alan Tecchio was the best vocalist the band had and with this a collection of new and old unreleased track I will always be in that mindset. The time changes, Vocal acrobatics and arrangement this band will never be for everyone but the one that lock up will never be able to leave Watchtowers Clutches. If Opeth, Dream theater and Symphony X had a love child it would sound like Watchtower to me. There is very late 80's Extreme Thrash thing going on too think of Annihilator and Excel is that thrash style. The Melodies are so bombastic that take you by surprise and over take your scenes. This album is so good I hope this unit of the band decides to make a proper full length album in 2017... Get this you will not be disappointed.